October always seem to be a busy month in terms of TF activity. 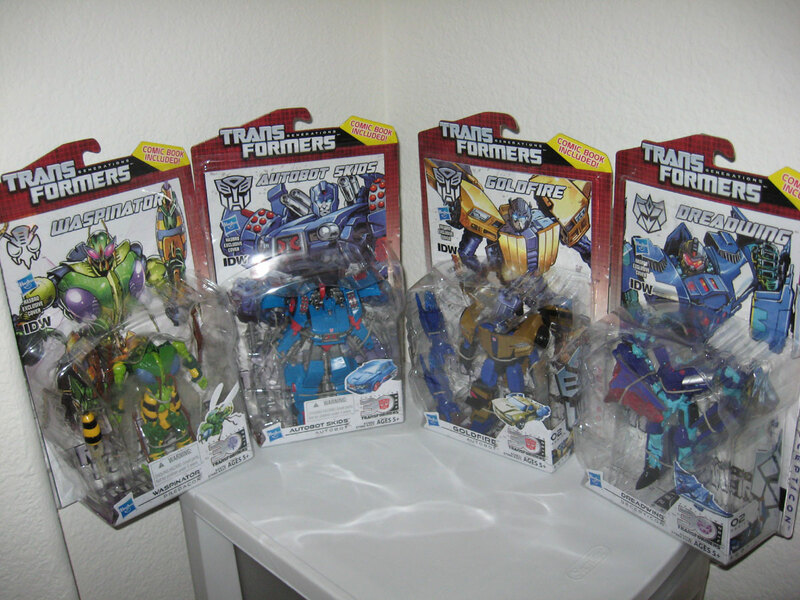 In October of 2012, I set a personal record for most TFs purchases in a month. This month I may have set another new record, of a related but slightly different category. So sit back, relax, and enjoy. This will be a long post. Age of Extinction Voyager Drift is a repaint of Skyhammer from Dark of the Moon. It appears they keep using this mold for Movie-verse figs. Skyhammer is one of my favorite figs from DotM, so I had to have this Drift. 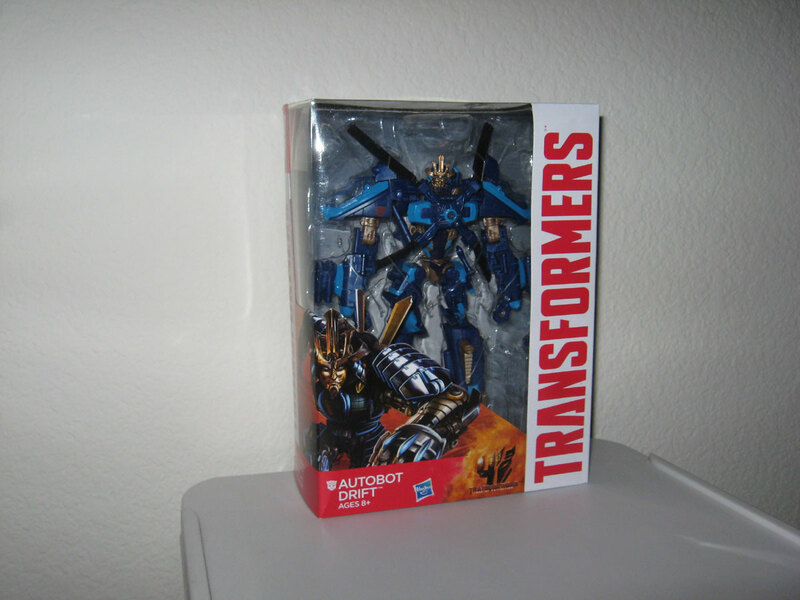 The figure is exactly the same, other than the head mold, the blue paint scheme, and the swords. Drift’s swords are kinda cool. He can use them separately in each hand, or have them combine into one huge sword. 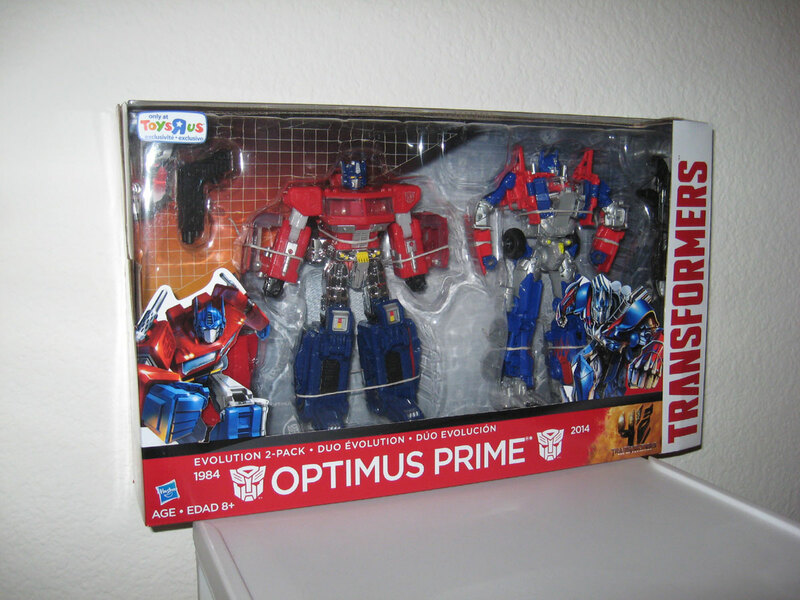 I bought the Optimue Prime Evolution 2-Pack purely for the repaint of the Classic Prime mold. I love that figure, and this shiny new paint had my attention. The other Prime figure here is a repaint of Evasion Mode Optimus Prime from Age of Extinction. In retrospect, Evasion Mode Prime is one of the only few good figures from TF4, so I’m glad I have this repaint. I did not open this 2-Pack. The collector in me will probably just hold on to this as mint. 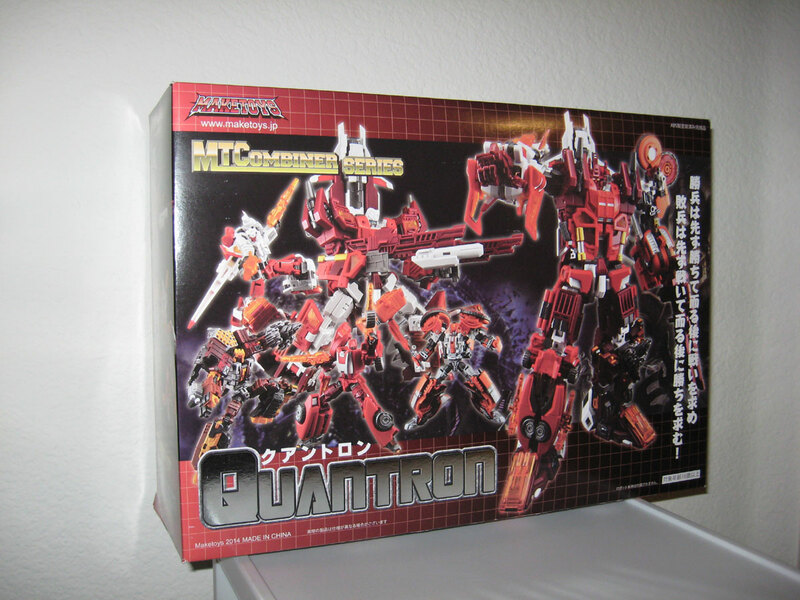 When I first head of MakeToys Quantron, I already made up in my mind that I had to have it. Quantron is an homage to the Technobots of G1, my favorite Autobot combiner team to come out of that era. Sure the Aerialbots are the most famous, but I think the Technobots are the coolest. I still remember buying Afterburner, my first fig from this awesome team. I loved his futuritic motorcycle mode. MakeToys Quantron wasn’t cheap. And I’m ashamed to say that as of this writing I still have not had the chance to play with this at all. I barely opened the box a few weeks ago to inspect the contents. Life as a working adult is way too hectic, and all of you reading should rue the day when you don’t have the time to immediately enjoy a $400 toy. But I promise to get to Quantron soon. All reviews I have seen gave it high marks. I know I will not be disappointed. 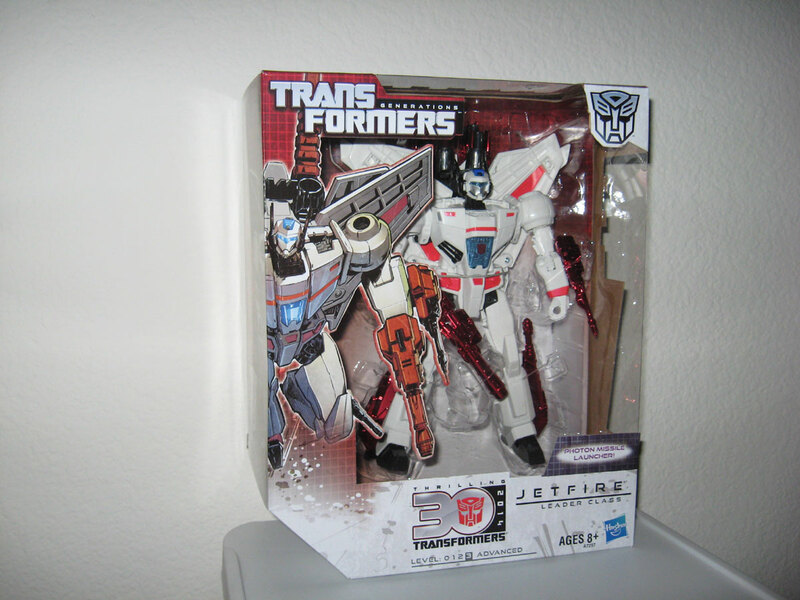 I have repeatedly mention how cool Generations 30 Jetfire is elsewhere in this blog, so I won’t do it again. Just know that he is awesomeness manifested in physical form. Go out and get yours now. Masterpiece scale Dinobots is something that many 3rd parties are jumping into lately. These figures are usually $200 each… not cheap by any means. They all look pretty nice. But if I’m to get one, I want to go with a 3rd party that I trust. 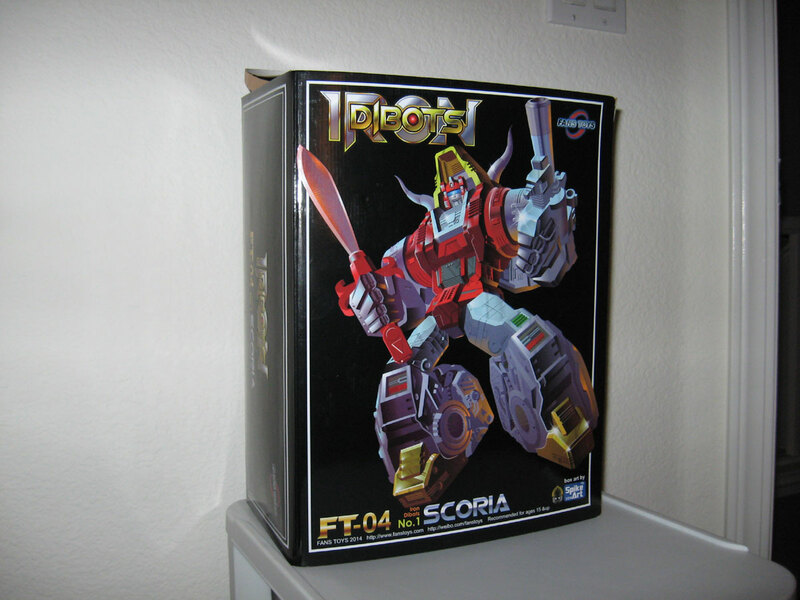 And so comes Scoria by Fans Toys. I was thoroughly impressed with Quakewave, so I had to give their interpretation of Slag a shot. Scoria does not disappoint. In robot mode he’s big and beefy. Construction is solid, and the transformation to dino feels familiar and refreshing at the same time. Scoria looks awesome in dino mode. I wish I have some pics handy to show him off. Maybe I will in a separate blog post. 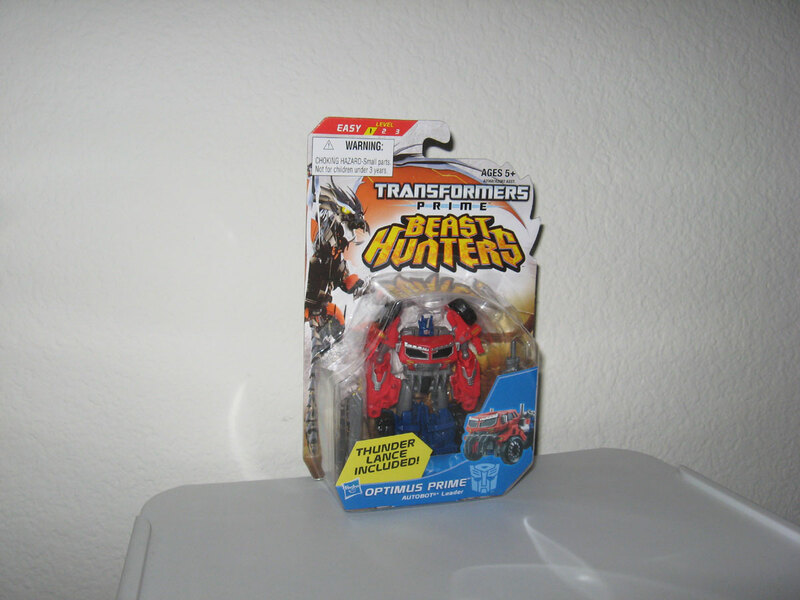 I got TF Prime Beast Wars Optimus Prime purely because he was on sale at BBTS. I saw the fig quite frequently on the racks at stores like Walmart and Target and have always wondered if he’s any good. He’s not. A required purchase this ain’t. I already wasted too much time writing about this figure. 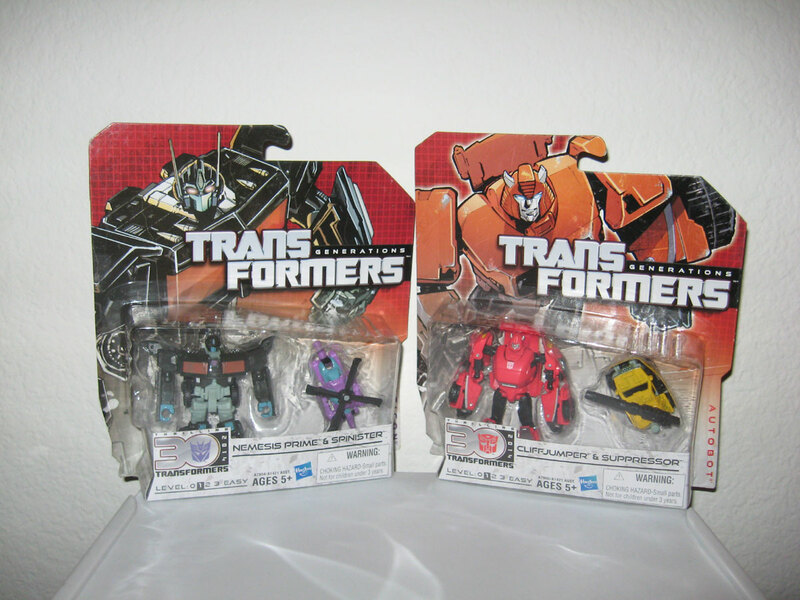 Nemesis Prime and Cliffjumper are just repaints of Optimus Prime and Bumblebee, respectively. So I won’t talk about them too much. Skrapnel (or Shrapnel) is a cool little G1 Insecticon. This is probably the first time in a long time that Hasbro has made a G1 looking Insecticon. Tailgate is using a mold that will be repainted into Windcharger. This mold is ok. I got this to have a distinct mold for Tailgate, because I think the Reveal the Shield Windcharger is a much better mold and that will be my Windcharger. The remaining deluxe Generations Thrilling 30 figures I’ll just quickly mention. Goldfire, Nightbeat, Dreadwing, and Jhiaxus are repaints of a figure in the same lineup. I really like Jhiaxus though. I’m liking the color scheme, and Hasbro reworked the mold to be different enough that it feels like a distinct figure. Windblade is a brand new mold. She looks pretty cool in both modes, but the figure itself is kinda flimsy. Waspinator is very cool! This is probably the coolest Waspinator that Hasbro has ever made. I like the wing gimmick. 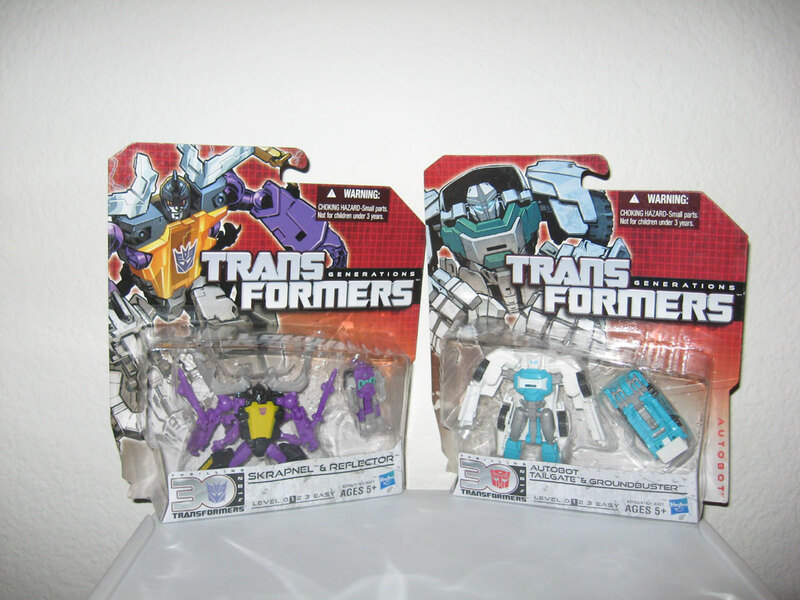 Skids and Crosscut are repaints of each other, though this mold is the first time we’re getting them. I was really looking forward to Skids, since many reviews praised the figure. The car mode is nice, but the robot mode has some poseability issues. There’s so much going on in robot mode that all the features start to block on itself. Still, all the weapons on Skids (and Crosscut) does make for a nice looking figure, when you can get them to pose the way you want. Ok… that was a lot of figs! 27 total by my count. 23 if you don’t count the Mini-Cons of the Generations Thrilling 30 legends figs. My previous record for single TFs in a month is 24, so this month does surpass that if Mini-Cons are included as separate figures. However there’s one thing that this month sets a record for… and that’s the amount spent! Adding all these up, the total TF spending this month comes to a whopping $885.90! Ouch. That’s a bit much by anyone’s standard. Quantron and Scoria accounts for $600 by themselves alone. I really need to start selling off whatever I don’t play with anymore. Time to list more stuff in my Sales Section. October is the last month of extravagant TF spending for 2014. Things will die down for the rest of the year. 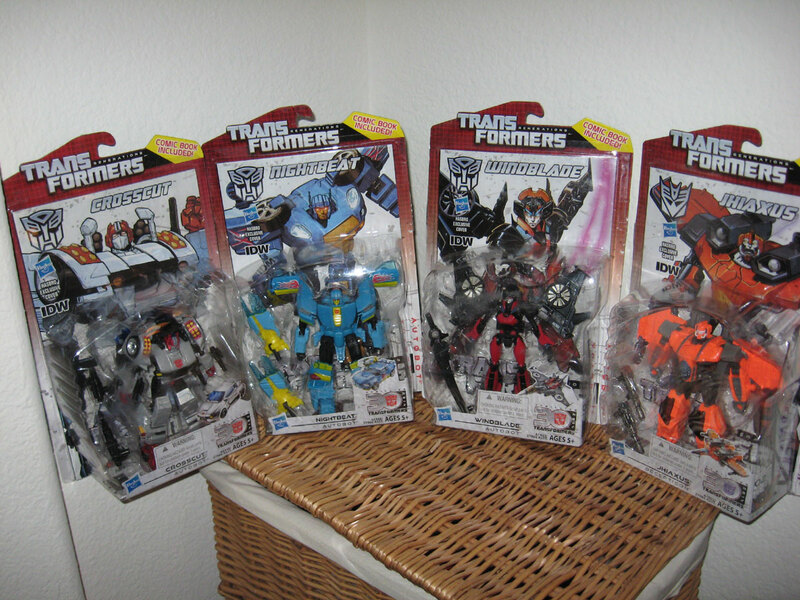 Oh, one more thing, at the end of Oct 2014 I took another pic of my orange TFs. Check it out. More to come… Transform and Roll Out!